W.F. Stewart Company; W.F. Stewart Co. Inc. The W.F. 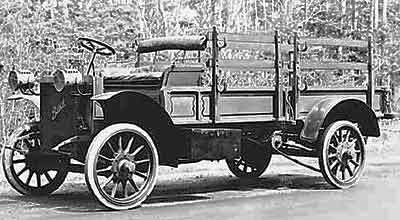 Stewart Co. was a carriage maker who built bodies for early Buicks. For over 25 years they produced tens of thousands of bodies for Buick, Cadillac, Chevrolet, Dort, Flint, Oakland and Peerless. A scion of the historic old Stewart clan of Scotland, William Francis Stewart (1846-1911) was born in 1846 on the small homestead farm of his father near London, Ontario, Canada. As a young man he and his elder brother were apprenticed with a number of Ontario carriage makers and at the end of the Civil War, he traveled to New York City where he worked as a journeyman at a number of the cities largest makers. In 1868 he followed his eldest brother to Michigan where he found a job with Parsons & Page, a carriage manufacturer located in Pontiac, Michigan. After a short time, he relocated to Flint and took a position in the carriage factory of Roosevelt & Stewart, the junior member being his brother. Working for his brother became untenable, so within a few months he returned to Pontiac remaining in the employ of Charles Parsons until 1871, when he moved back to Flint as an employee of W.A. Paterson, one of that city’s largest vehicle manufacturers. Stewart continued his connection with the Patterson factory until 1881, when he decided to venture out on his own. He leased the top floor of a small factory and built wooden subassemblies and carriage bodies, most of which were purchased by W.A. Patterson, his former employer. Within a short time, the quality of Stewart’s work caused his business to expand in scope and he was soon supplying many of the regions largest builders including the Durant-Dort Carriage Co., the Flint Wagon Works, and the W.A. Patterson Co. with wholesale parts, subassemblies and bodies in-the-white. A massive new factory was constructed in Flint and a satellite branch was established in Pontiac, Michigan. Later on, a small branch was established in Bay City, Michigan that supplied parts to carriage and wagon builders located in Saginaw. The Flint branch of the Stewart works was able to take up the slack while the Pontiac plant was rebuilt. One of Stewart’s sons, Samuel Sidney Stewart (born 1876) relocated to Pontiac to oversee the reconstruction and he remained in charge of the Pontiac works until 1898 when he returned to Flint. He was soon joined by his younger brother, William E. Stewart, who had served his country as a US Army Captain during the Spanish-American War. Unfortunately, his two sons didn’t get along, and as he wished to start winding down his business affairs, Stewart organized a second carriage building firm, the Flint Body Company, for the youngest, William E. to manage. The elder Stewart remained president of W.F. Stewart and held the same position in the new firm, with his sons becoming vice-presidents of their respective enterprises. At that time, W.F. Stewart Co. utilized 3 plants, the main facility in Flint, and two satellites - the recently rebuilt plant in Pontiac and a smaller facility in Bay City, Michigan, just north of Saginaw. The Flint Body Company took over Stewart’s Bay City branch as well as approximately one half of the Flint facility while W.F. Stewart Co., retained the remaining half along with the satellite in Pontiac. 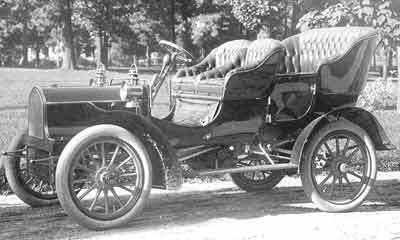 Stewart’s two sons were enthusiastic about the new horseless carriage, and their father was also aware of its great potential as he was one of the Buick Motor Company’s initial investors and served on its board for a number of years. 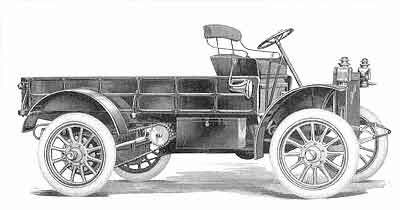 The Flint Body Company was the first Stewart family enterprise to actually produce automobile bodies as evidenced by a 1903 sale of 200 automobile bodies to the Merchants' Specialty Company, 90 Warren St., New York City. Although very early Buicks were built in Flint, demand for the popular vehicle caused production to be transferred to nearby Jackson, Michigan for a short time. 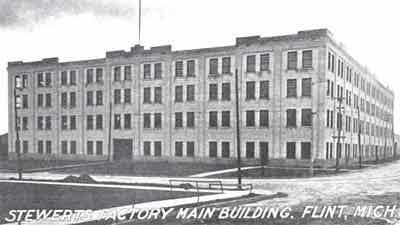 Following Durant’s takeover of the firm in late 1904, a decision was made to return production to Flint and in late 1905 construction began on a new W.F. Stewart Co. automobile body plant on Durant’s large Hamilton Farm complex, just down the street from Buick’s new Flint factory which was constructed at the same time. Demand for the new Buick was so great that in December, 1907, W.F. Stewart found it necessary to schedule evening overtime to meet the demand for its automobile bodies. corner of Industrial and Hamilton Aves., supplied Buick with most of its bodies through 1908 when the newly organized General Motors purchased the factory for $240,000 worth of General Motors stock and leased it to Buick. W.F. Stewart was allowed to use a portion of the building, 1023 Harriet St., for their main offices and the Harriet St. address appeared on all of the firm’s subsequent advertising and stationary. William F. Stewart passed away in 1911 and control of his carriage and auto body building empire passed to his sons. Sidney became president of W.F. Stewart, and William E., president of Flint Body. Later that year W.F. Stewart Co. erected a 2-story 200ft. x 60ft. addition to its main Flint plant giving the firm a grand total of 67,000 sq. ft. of manufacturing space. While one Stewart associated firm prospered, the other was soon facing the receivers. Following the death of their father, S. Sidney purchased William E.’s half of the Flint factory and within the year, the Flint Body Company was in receivership with liabilities totaling $64,000. Robert H. Cook, its vice-president and secretary was appointed receiver and a number of automotive trade journals, including the Horseless Age and Automotive News announced the failure during the spring of 1912. Within a couple of years William E. Stewart had recovered from the debacle, and formed the W.E. Stewart Manufacturing Company, which grew successful as a Buick and General Motors supplier. S. Sidney Stewart served on the boards of a number of local businesses. He was vice-president of the Union Industrial Trust Co. and served on the boards of the related Union Industrial Bank and Union Trust Savings Bank. He was a major shareholder in General Motors and was also a close personal friend of Charles Stewart Mott. His brother, William E. Stewart, was also a large GM stockholder and served on the board of the National Bank of Flint. Into the twenties W.F. Stewart continued to produce small numbers of carriage parts, but most of the firm’s efforts were devoted to producing bodies for Buick, Cadillac, Chevrolet, Dort, Flint, Oakland and Peerless. Unfortunately a number of incidents beyond their control such as the collapse of Dort, the relocation of Durant to Lansing and General Motors’ acquisition of Fisher Body greatly reduced the size of the firm and by the late 20s the firm had turned to commercial and custom work. In 1928 Sidney Stewart initiated the development of a Stewart airplane hoping to create a new line of business for the firm. A hanger at a small airfield located at Saginaw and Maple roads in Grand Blanc Township was converted into the Aviation Division of W.F. Stewart Co., and a skeleton crew began construction of the first prototype, the Stewart M-1. Designed by John Hunt, it featured a 38’6” full-cantilever wing, a pair of side-by-side cockpits and was powered by a water-cooled 90 hp Curtiss OX-5 V-8. The plane was advertised in a number of aeronautical periodicals, but its awkward appearance did little to create outside interest in the project. 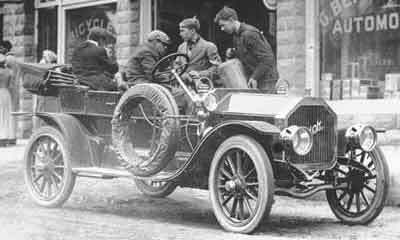 However, Stewart did not abandon the venture, and within three years an all-new prototype, the Stewart M-2, was introduced. This time, Stewart had a winner, or so he thought. The Stewart M-2 was a totally new and very modern-looking airplane. Designed once again by John Hunt with the assistance of Lionel Kitchen, it featured bilateral 165hp Wright J-6 Whirlwind rotary engines mounted on a 52’ 10” shoulder-mounted wing. The airplane was soon tested and approved for production by the government, however the M-2 emerged during the depths of the Depression, and although Stewart received many inquiries, no sales contracts were received and the firm’s short-lived aircraft division was abandoned. S. Sidney Stewart did not lose his enthusiasm for aviation and along with E.T. Strong, the president of Buick, was instrumental in the construction of Flint’s Bishop Airport, a WPA project that was completed in 1934. It was named for Arthur Giles Bishop, a Flint banker and GM vice-president who donated 220 acres for the original facility. Today, Bishop International Airport covers over 1700 acres and handles in excess of one million passengers per year. All W.F. Stewart Co. coach building activities ceased in 1935 although the firm survived on paper through 1939. A number of important figures in the auto body business worked at W.F. Stewart at one time or another. Among them were Albert W. Trippensee, founder of the Trippensee Body Co.; Herman C. Maise, Fisher Body and Briggs Mfg. body engineer; and Don R. Mitchell, founder of the Ionia Mfg Co. and Mitchell-Bentley.